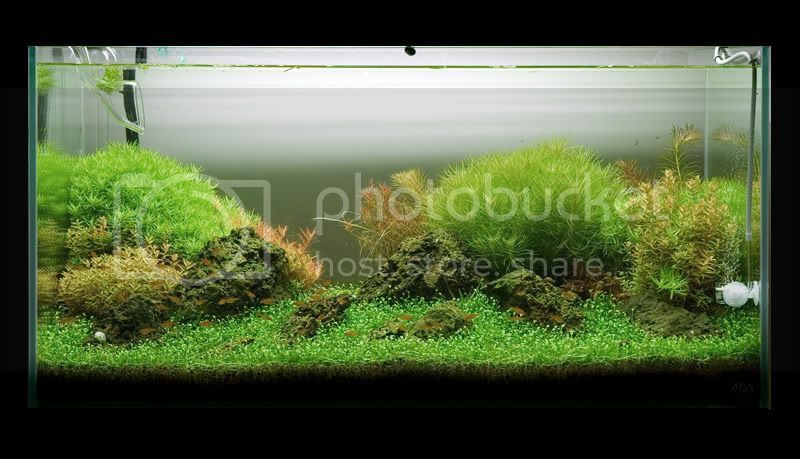 Aquascaping Discuss aquascaping designs and techniques as well as get critiques on your aquascaping pictures. Find out how to use aquatic plants, reefs, and wood to design a planted aquarium. Let me preface this thread by first saying, these pictures were not intended for this purpose, I just happened to take some pictures frequently enough to put this together. There are a few pictures 'missing' in the sequence. Use your imagination to fill in the blanks! This picture was taken about 6 weeks after initial planting. 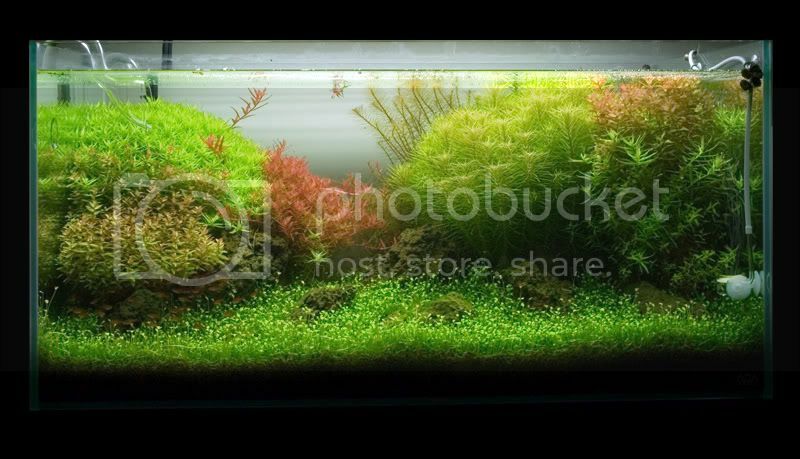 The marselia has grown in very quickly, stem plants are growing in strong, but algae is rampant! I believe that atleast one pruning has already been done at the point this picture was taken. The bottoms were left in and the tops replanted to fill in empty spaces. 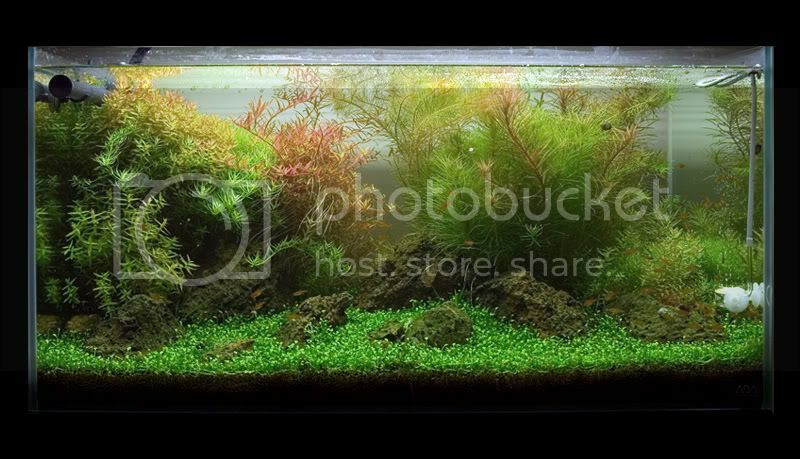 A few weeks later, algae is on its way out and the plants are growing in really well. Heavy duty pruning is done. This pruning is done so that only 3-4 nodes are left above the substrate level. This is to encourage side shoots from each planted stem. A few tops were replanted, but most were discarded. Picture is missing. Imagine a BARE tank. With good ferts, plants bounce back quick. A few weeks later...the plants are growing back with multiple shoots from each planted stem. However, they're all over the place when it comes to growth rates and sizes. Another pruning is in order - this time to give the plant groupings some shape and definition. Several weeks later, taking into account growth rates of different plants, a severe pruning is done. This will be the final pruning before the 'money' shot. Growth resulting from this pruning will be lush, thick and the shapes will be well defined. Sean Murphy happened to drop by the day after this was done and I quote "What the #$#!! did you do in there!!!" I assured him I knew what I was doing here. Take note of the different heights and angles at which the plants were cut back. Tops were given away and not replanted - we want even growth rates (within each plant group) here - very important. Last edited by Ghazanfar Ghori; 12-11-2008 at 11:46 AM..
Those are very helpful, thanks Ghazanfar! In my tanks, one problem with this technique is that by the time my stems approach the tank top, the bottom portions look rather ratty, leafwise. I don't really see the bottoms of yours looking too badly here. Is this something you deal with, or is your lighting intense enough you don't have this problem? from the looks of it, he pruned OFF the bottoms. (almost) I'm assuming this encourages enough outward growth, and side-shoots and any previous leaf damage (from lower light under the tops, or algae spotting) would be completely hidden by the new growth. not to mention when he topped the plants the first few times, I'd assume he had the option of using those stems to hide some of the problem areas if indeed there were any. Nice "writeup" by the way, although I know that's not what the pics were meant to be. Still nice to see the trim technique even in a vague sense, and then see the results on a timeline like that. The stems come back really thick - ratty bottoms I assure you are there - but you don't see them. you'll need to really hack it back to 'start over'. Some stems bounce back from this easily (rotalas) - others, not so much (stellatas). I really appreciate this thread, thank you. When you prune the stem plants are you replanting the cut off stems to thicken up the bunch or are you just relying on side shoots? I am so glad this topic was brought up, I wish there was more on this topic. This is great Ghaz! Thanks for posting it. I have made it a sticky it as I think this will help a lot of folks to actually see how to trim. I know after your talk at the meeting I have been doing this and am able to get a much larger grouping of plants. As you said some things bounce back, some dont. The plants have to be very healthy to come back from such a massive prune as well. Well done for the community. Also! I guess you could say, when in doubt don't be afraid to hack! 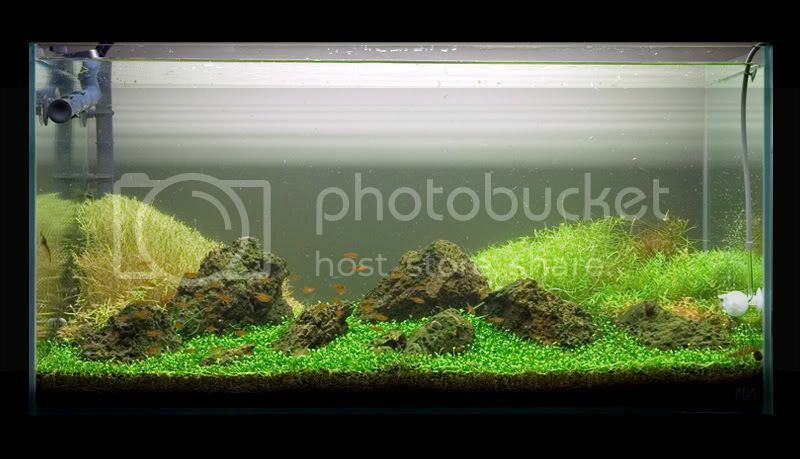 It's shocking that algae would dare make an appearance in one of your setups. I was astonished the first time I saw the guys at AquaForest in San Fran mutilate their giant display tank. They were mercilessly mowing it down to within an inch or two of the substrate. I then went home and tried the same thing with excellent results. Freeman said it best: "Plants love scissors!" 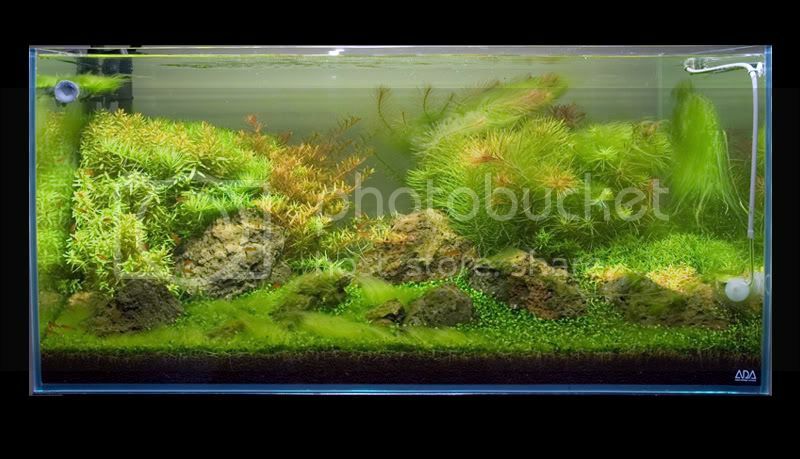 With taller aquariums it's important to not let the growth get too high before cutting it way back. If you do the lower portions will be too far gone to regenerate nice growth.